Left unbeaten on 99, the Universe Boss saw the innings through for KXIP. After going down to Royal Challengers Bangalore at the IS Bindra Stadium at Mohali on Saturday, Ryan Harris surmised that while Chris Gayle came good with an unbeaten 99, the other Kings XI Punjab batsmen needed to contribute a bit more to close the game in their favour. 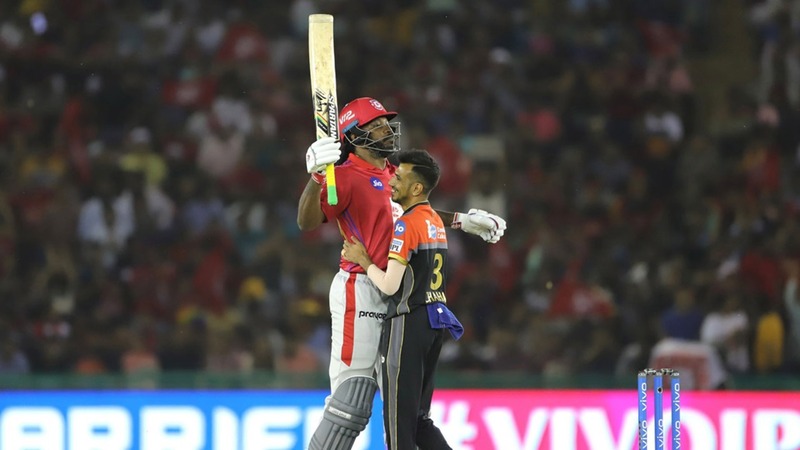 Harris, the bowling coach for KXIP, acknowledged Gayle's knock as the backbone of the team's efforts and lauded him for adapting and carrying the innings through. "I thought he led the team again really well," he said. "I think at the start he gives himself a little time just to get the pace of the wicket, which he has done most of his career. He probably takes three overs and he gets the move on once he gets the pace of each bowler. "Through the middle, we'd like him to keep going. But the way the spinners bowled and the wicket was holding up a bit, it was quite hard for him to do that," he said referring to the pitch. From 66/0 just after the end of the powerplay, KXIP slumped to 113/4 losing four wickets for just 47 runs in 7.2 overs. This had changed the course of the innings. "Losing wickets as consistently as we did, (Gayle) sort of had to be the man to bat through," Harris explained. "I guess we'd like him to go harder a bit earlier but the way he played tonight deserved a hundred." Chasing Kings XI's total of 173/4, RCB managed to seal off victory with eight wickets to spare with the match, however, going down to the last over. The equation stood with 38 needed off the final three overs, with Bangalore captain Virat Kohli having just departed, and the game poised to go either way. However, a few fielding lapses and the dew factor kicked in to ensure the visitors capped off the night. Reflecting on the first innings, Harris reckoned KXIP were 15-20 runs short of where they should have been and that may have made the difference. "We have been in this situation a few times," he pointed out. "We rather be eight-nine (wickets) down, rather than four-down. I think we probably got to keep chatting about that. "We got ourselves in a position where we could launch," he asserted. "Speaking to the guys, the wicket slowed up a bit through the middle and it showed the way Chris Gayle started and then struggled towards the end. The RCB bowlers also adapted pretty well and changed the pace on the ball."